We received really great news this week! Briella passed her hearing test in both ears!! Mom and Dad had been a little concerned about her hearing. She hadn't been responding to us when we talk to her, apparently she's just really tired. 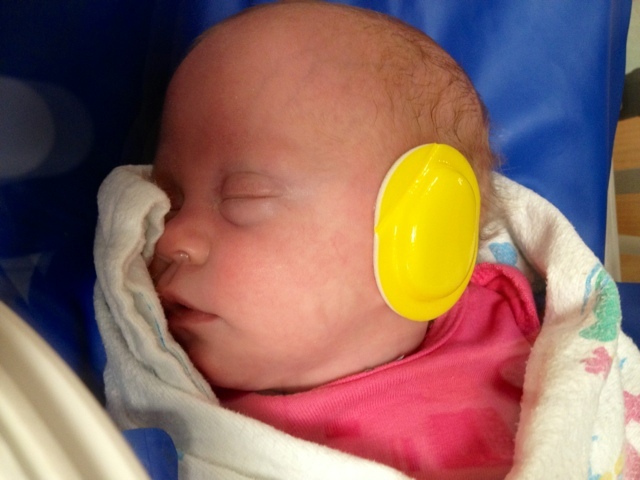 She also slept through her MRI and never woke up-but they put little yellow ear muffs on her. The MRI results came back normal! They could see old blood from her brain hemorrhage. But nothing new! Briella has been taking every bottle every time for days now. Her feeding tube was pulled out a couple of days ago. However, she is so sleepy now from all the energy it takes to get up every 3 hours & eat at least 60ml. Being sleepy causes her to not want to finish the full 60ml & then when we try to get her to take her full amount she has spells. She had a big one yesterday. Her discharge date WAS tentatively Wednesday. But we are now pushed back to next week (hopefully). Also, she has to stay because her lack of weight gain is now an issue. Since she is waking up around the clock she is burning so many more calories than before when she just slept through her feedings & it was just sent to her belly by feeding tube. Brian & I & her nurse made the decision to put the feeding tube back in for a couple days. We are hoping that her sleeping through a couple feedings will help her alert level so she can have quality bottle feeds when she is awake with no spells. We are also hoping it will help her gain weight again. I feel like we made the right decision & she will be back to her great ways in a couple days. 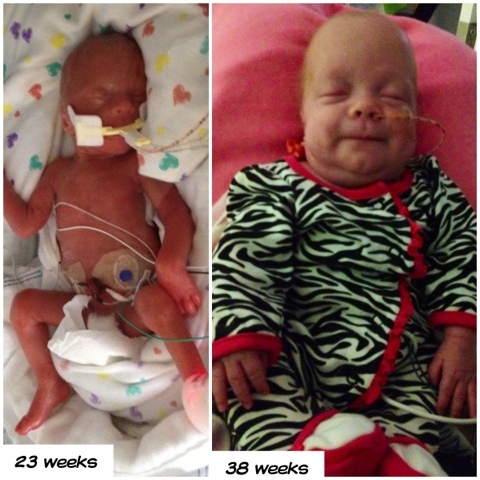 Please pray that the ROP goes away on its own & that Briella continues to stay healthy. And also please say a prayer for Briella's sister Aubrey who is having her tonsils taken out tomorrow morning. 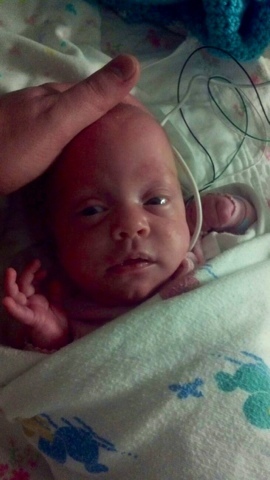 Pictures are her ear muffs from MRI & her without a feeding tube! She is absolutely beautiful! Every day is truly a gift! Thanking God with you for her progress. I sure look forward to holding her when she comes home! You all remain in my prayers daily!